iPads in Kindergarten? Oh Yeah! We are pushing the boundaries of learning with inquiry-based projects, rubrics, cross-age partnerships, hands-on learning and TECHNOLOGY! We are teaching with crayons, play dough, puppets, and iPads too in kindergarten. This site is designed to share the many ways that iPads can be used a dynamic tool for 21st century learning and creative expression in primary grades. 10+ ways to use iPads in the classroom. Recommended Apps for Learning (from skill-building to higher-order thinking). Cross-age partnership with 6th grade iTeam Buddies. 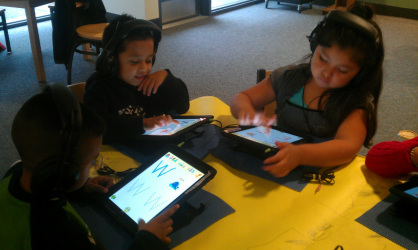 Developing 21st Century skills in an iPad enhanced kindergarten. How we use student-teacher created rubrics and self reflection to help us learn. Common core standards and standards for using technology. Digital Citizenship, Internet Safety and Ethics. Parent & family engagement through digital storytelling and parent education. Why iPads in Kindergarten? For background research and rationale visit my Inspiration page. Take a look at the Learnovation Blog for a chance to share and learn from other teachers venturing into the world of innovative learning. This student is presenting a shared reading of a digital story from 'Footsteps2Brilliance'. 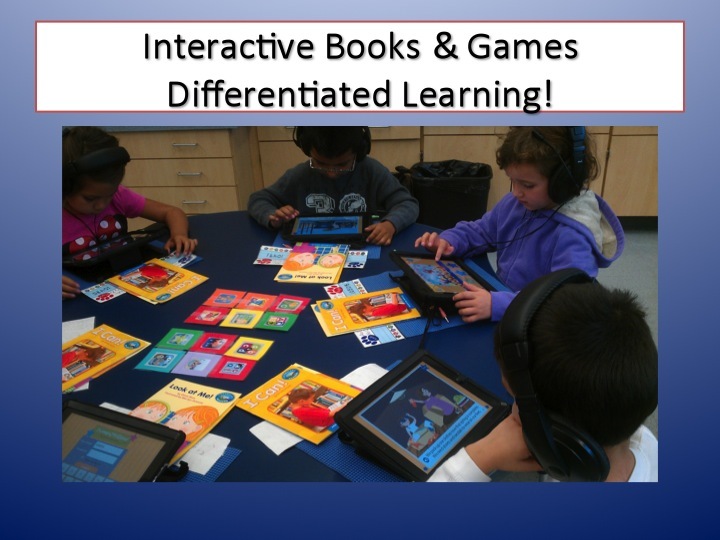 Teachers can differentiate instruction using a range of apps and tablet friendly web 2.0 tools. But most importantly the iPad allows students to 'own their own learning', build upon and apply their knowledge and explore new questions based on their learning. 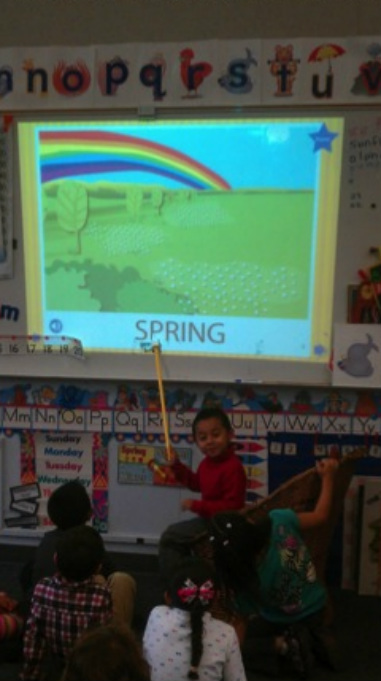 Kindergarten students are able to research, create, revise and produce their projects using apps, the camera, audio screencasts, photos, movies, maps and various multimedia formats. My kindergarten students already know that their iPads are portals to the greater world where they can find answers to their questions, use Skype to interview an expert, learn about different countries, and share with a greater community.